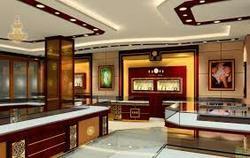 Office Decoration Service Providers, Contractors, Decorators in India. we provide complete interior solutions for office/commercial spaces.we use high quality material with excellent finish. Our company is highly esteemed in providing Office Interior Designing Service. We are specialists in providing efficient Director Room Designing Services for various corporate offices. Our staff members visit the corporate houses and under the customers’ requirements to provide economical solutions. We are one of the distinguished organizations engaged in providing Interior Designing Services for work station. Our services are appreciated for their reliability, flexibility and cost-effectiveness. We offer our services in Chandigarh, Mohali and Panchkula and also to near by areas.